BrakeQuip’s high- and low-pressure power steering hoses are built with a double-braided nylon construction, designed to dampen pressure waves and improve noise, vibration, and harshness (NVH) throughout the system. Most power steering hoses have a steel wire braid construction, intended for industrial hydraulic applications and overbuilt for automotive power steering — these hoses do not offer sufficient expansion and fail to reduce NVH properly. BrakeQuip’s power steering hoses are designed to faithfully replicate OEM parts, offering a range of crimp fittings and other accessories to accommodate a new hose assembly and complete the power steering plumbing. 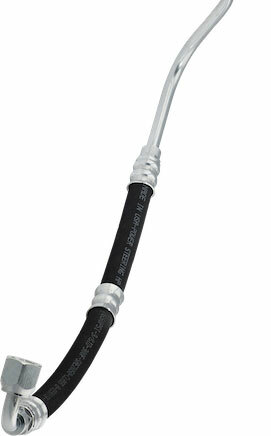 To minimize noise and vibration, their products use quick-to-install PTFE flow restrictors on all power steering hoses. At WHD Canada, we have partnered with BrakeQuip to offer these products for automotive power steering applications in Canada.